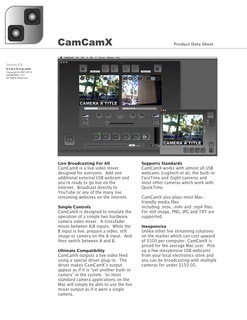 CamCamX is a webcam video mixer. Mix LIVE TV webcasts using only your Mac, iSight, pictures and movie files. Plug in an external USB webcam for more elaborate shoots. Mix directly as you upload to YouTube or mix to a XVGA projector. No editing or rendering required. Works with DotMatrix, Facebook, Youtube, Skype, PhotoBooth, QuickTime Pro, Flash video-enabled web sites and MORE! In keeping with our retro-theme, CamCamX is designed after an 80s style two input video mixer. Easy and fun to use. Record live video mixes directly with AVFoundation and QuickTime compatible camera apps. CamCamX can adjust the incoming camera picture for very low light environments, allowing you to camcam in almost total darkness. Spice up your webcam broadcasts by sending movie clips or still pictures. Pause your camera feed when you step away. For further details, take a look at the CamCamX 2.0 brochure. As an existing customer, you're entitled to upgrade pricing. Otherwise, it's still pretty inexpensive. CamCamX FREE 2.0.5 (Released 2013.08.27) is the current version of CamCamX FREE. CamCamX 2.0.8 (Released 2015.11.20) is the current version of CamCamX (Web Version). You can find the latest download available at the link sent with your serial number. CamCamX 2.0 is an upgrade (uses new serial number) from versions 1.x. CamCamX 1.701G (Released 2010.05.25) is the current and final version of Ghost. The codesignatures on CamCamX (all versions) were updated to support Yosemite 10.10 on Jan 6, 2015. Sync code changes with latest Q@mera builds. Added integrated GrabberApp.VDIG.component (integrated screen/window grabbing. Clean up of UI and redesign of top icon row. Performance improvements for CMIO driver. Small improvements to VDIG driver. Bug fixes for retina displays. 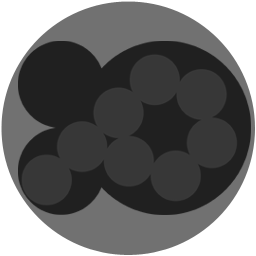 MIDI Controller support for transition selection and crossfade slider. Self-translating (international language support) UI localization. Moved A + B camera menus to mixer surface as per desire of Black's mom. General config & cleaning to synchronize builds with CamCamX FREE. Rebuilt the Nibbler base class to eliminate a bug that nobody but we noticed. Added integrated 'QTKitVDIG' driver for MacBook Air Mid-2013 non-UVC built-in FaceTime HD camera. Added CoreMediaIO plug-in installer to Prefs. Added CoreImage Unit plug-in installer to Prefs. Integrated version of QTKitVDIG.component for accessing MacBook Air Mid-2013 Camera. CoreMediaIO (AVFoundation) camera output driver. Streaming and fake webcam to Adobe Flash 11.7. New UI like hardware mixer. Gatekeeper and Developer ID support. 64-bit compatible CICamCamXInput.plugin CoreImage Unit. Enables sharing of CamCamX mix output with iChat Theatre. Compatibility with chatroulette.com (you must contact ms.black for a copy of Ghost). Improved stability of virtual camera driver under Snow Leopard. Added two new mix modes: PIP and CNN-style two-up. Now drop .FLV or .WMV into video windows (requires QT codec). Improved performance/latency of camera driver. Fixed bugs with audio sync/drift when recording with QT Pro. Mix output to secondary display/fullscreen. Save/restore additional mixer state on quit/open. FULL LEOPARD SUPPORT (Photo Booth, iChat Theater (3 camera mixing !). Quartz Composer CamCamX Input plug-in. New autofade, one click smooth fade from A/B or B/A. Bug fixes for switching camera inputs on same device channel. Bug fixes for Qamera input (totally great under Leopard). Leopard optional install for opening iSight in (shared) Leopard mode. Upgrade to LIVE 6x2 TV-style Video Mixer. Symmetrical video mix console makes LIVE video performance affordable and easy. Native 4:2:2 YUV video mixer designed for live podcasting and performance. Added menu item to close (release) hardware camera, keeping CamCamX open. Added support for two cameras open at once with live mixing. Added slider/scrubbing to movie view, and scratching pad for fine scrubbing. Added brightness, contrast, gamma, white level, black level and saturation to all cameras. Added drag and drop to camera monitor windows for dropping picture and movie sources. Added video mix cross fader with four mix modes. Gradient wipe can be any image (drag to open), even snaps taken with PhotoBooth or DotMatrix. Added camera target selector for selecting which monitor gets file dropped on app icon. 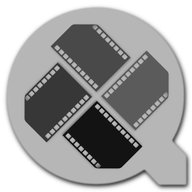 Bug fixes for QuickTime Pro movie recording. Optimizations for faster system performance. Bug fix for dragging/opening still picture BRB images. Purchase a serial number for CamCamX now in our secure online store.